Our landscaping team is set up so as to provide the type of service the customer requires, whatever that may be. If it's a total garden make-over you are after, or if you would like to talk to somebody for ideas and inspiration, arrange an appointment with our garden designer. Our landscaping team can then set about installing your new garden. However, if you already know what you want, simply talk directly to our landscape team. For straightforward jobs such as fencing, turfing, decking, patios or planting, just ask for an appointment. 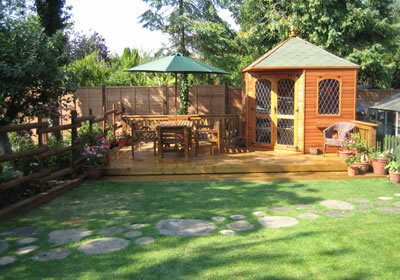 We will visit your garden, then provide you with a written estimate and a breakdown of costs.